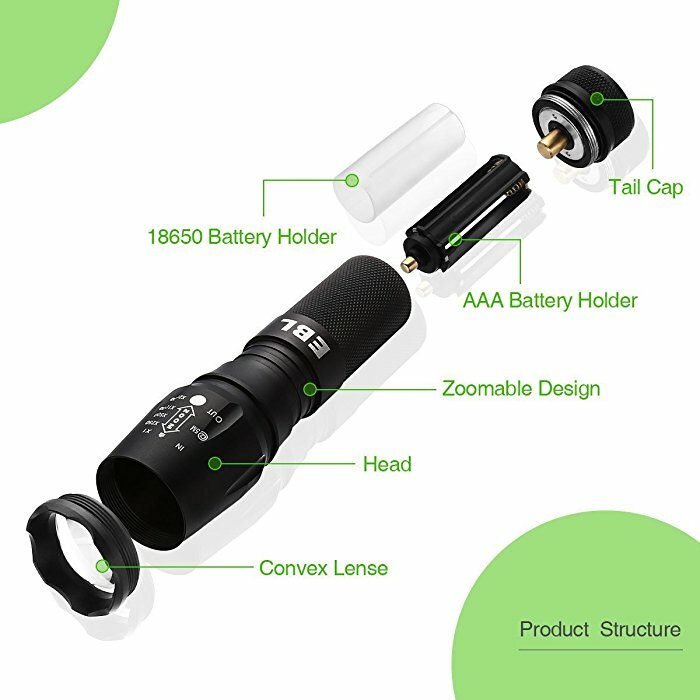 This high lumen LED flashlight is powered by a 18650/26650 battery, or three AAA batteries. 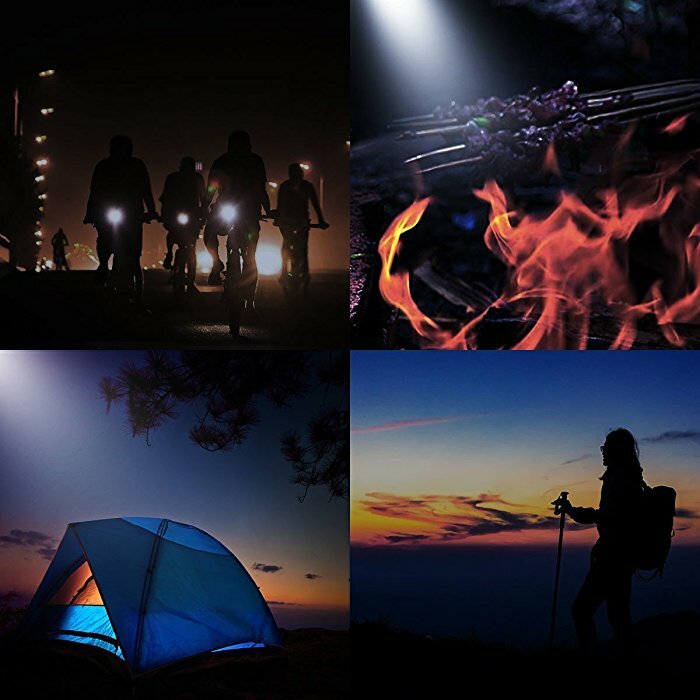 Portable size and quick-release design makes the LED torch light very helpful for your camping, night walking etc. 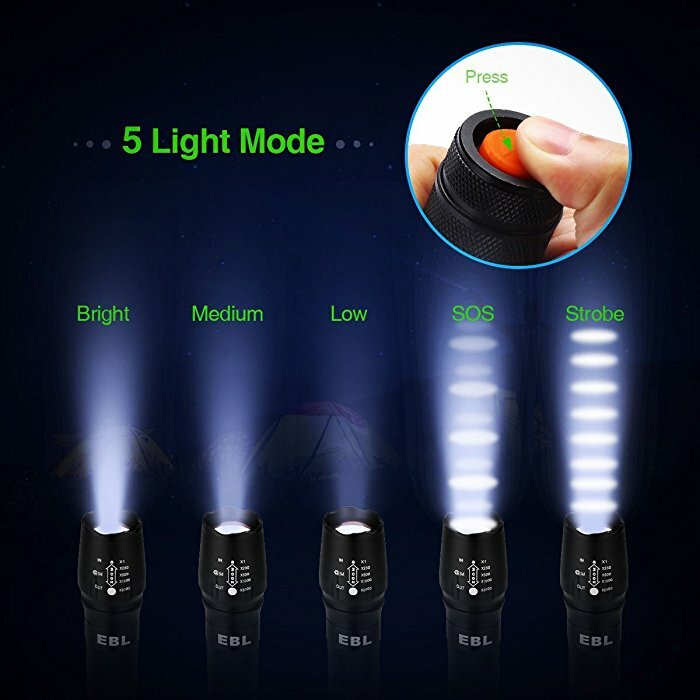 This handheld LED flashlight has five modes with different brightness to offer: high, medium, low, strobe and SOS modes. 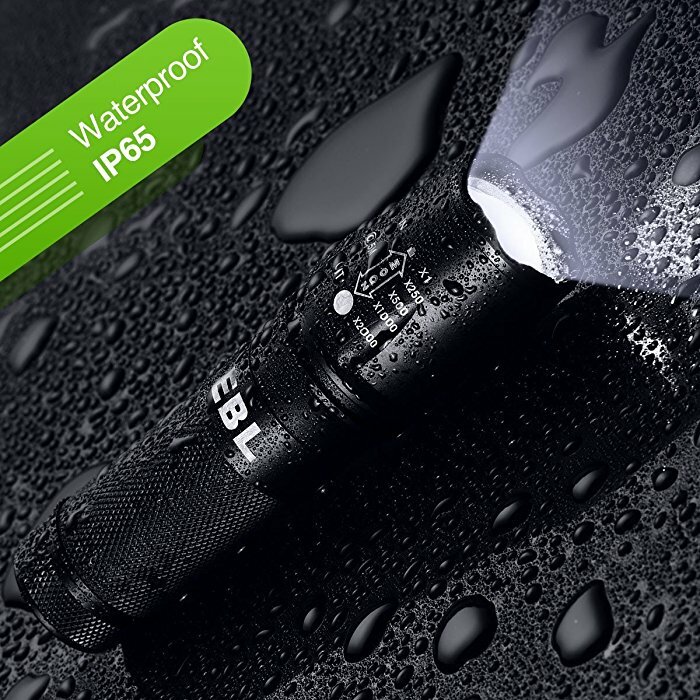 IP65 Waterproof: This waterproof LED flashlight enables you to use it in rainy nights or in darkness with water drops or splashes. 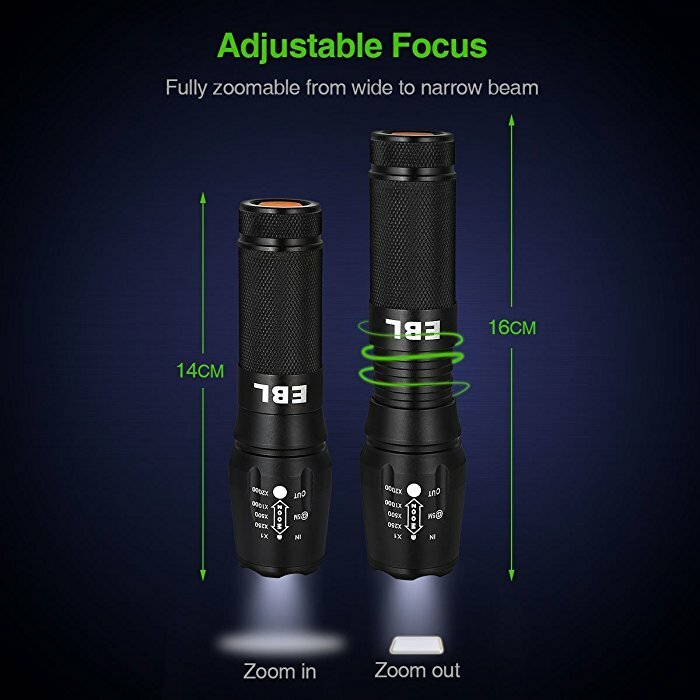 Impressive Brightness High Lumen Flashlight: It has 12000 lunmens for great brightness, making the dark visible for you. 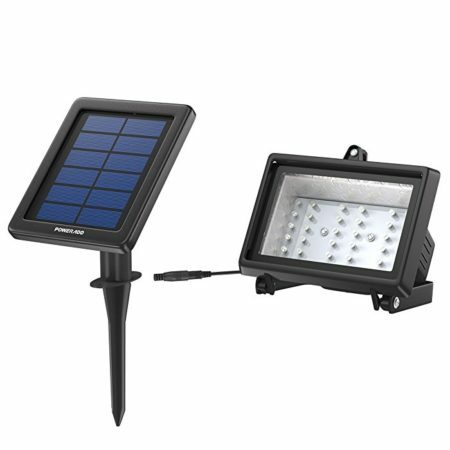 100000 Hours’ Lifespan: Thanks to the advanced Cree XML-L2 chip built-in, this LED torch has long lifespan. 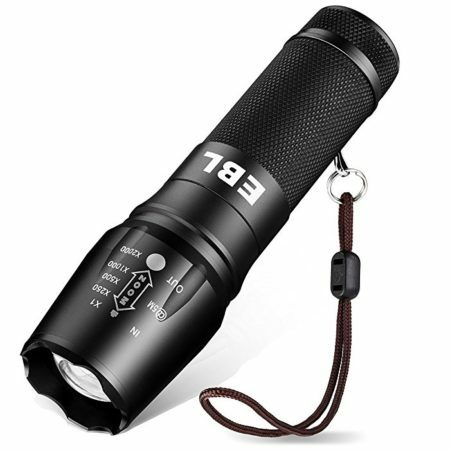 This LED torch works as an excellent military grade tactical flashlight for your activities at night or in the dark. 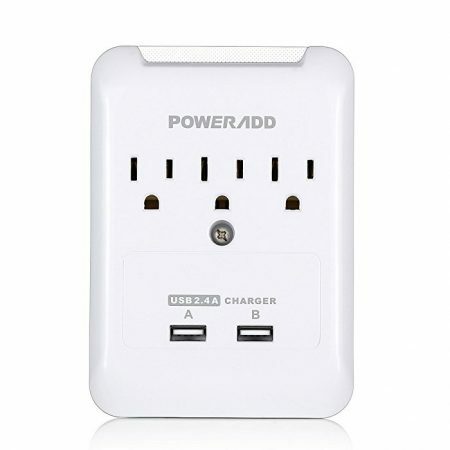 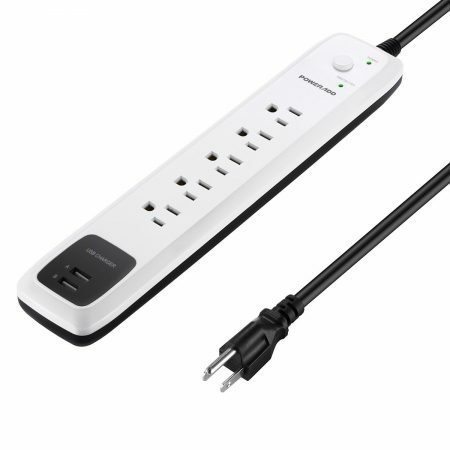 It has an ergonomic design, especially for the torch handle. 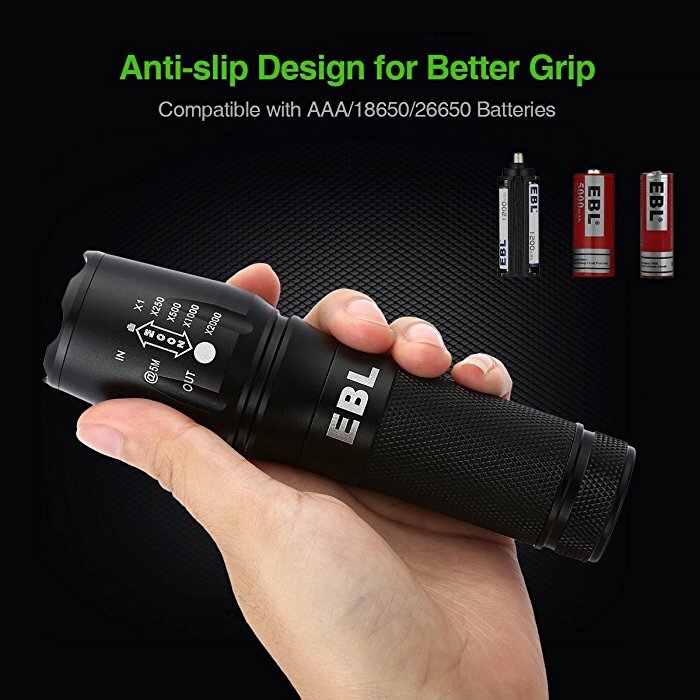 You can hold the flashlight easily.